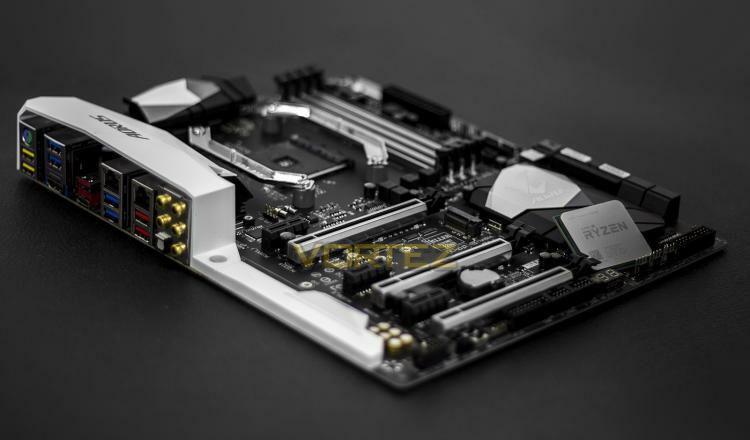 GIGABYTE have always been a keen innovator, in days gone they were first to implement various motherboard specific technologies that was previously encompassed by the 'Ultra Durable' branding to ensure that their products were robust and long lasting. This is something that continues today with the PCIe and DIMM armour that is now seen across all motherboard manufacturers. For those confused about what 'AORUS is, one could think of it as GIGABYTE's response to the ASUS 'Republic of Gamers' branding, representing the highest level of hardware for enthusiasts and gamers. Though we could cast doubt as to what that even means (specifically with the watering down of the ROG range products), for now GIGABYTE have two AORUS branded motherboards utilising the X370 chipset, the flagship being the AX370-Gaming K7, and the Gaming 5 that we are taking a look at today. The most prominent thing we notice when looking through its feature set is that GIGABYTE have made it a master dual-wielder. They feature dual channel memory, dual BIOS, dual armour, dual networking (Killer E2500 + Intel), dual ALC 1220 audio codecs with dual Smart headphone amps, there are two thermistor headers, two internal USB 3.1 (Gen 1, aka USB 3.0) headers, two SATA Express ports, and of course it supports two-way SLI/CrossFire. Aside from featuring SATA Express, GIGABYTE have expanded the storage options with a M.2 slot and an NVMe port which share the same PCIe lanes (priority going to the NVMe port). There is a whole host of USB options, including a total of 4x USB 3.1 Gen 2 (2x chipset 2x ASMedia), one of which is a type C, 6x USB 3.1 Gen 1 (Formerly USB 3.0) with internal headers to access an additional 4x 3.1 Gen 1 and 4x 2.0. GIGABYTE have also implemented their USB DAC-UP 2 technology on two rear panel USB ports, as well as via the front USB30_1 header, this technology provides clean, isolated, low noise power which is suitable for external DACs (Digital-to-Analogue Converter) aka external soundcards/headphone amps as well as high power peripherals such as VR headsets/external storage drives. Being an enthusiast grade motherboard, there are various features to aid in keeping your system cool. This starts with the fact that all 8 fan headers are hybrid fan headers, two of which support a 2amp draw with overcurrent protection, this means it can support water pumps or high power fans of up to 24W, making the system friendlier for those looking to watercool. These fans are supported by GIGABYTEs Smart Fan 5 app that allows you to assign fan activity to different temperature sensors around the board (there are 7 internal points and two external with included thermistors). As this is 2017, the aesthetics are much more neutral in design, using monochromatic shades (white/grey/black) that will suit any preference of colour or theme. Again because this is 2017, it also features RGB Fusion, GIGABYTE's RGB surround LED lighting that is customisable using the dedicated app. Part of this lighting system is a swappable overlay dubbed 'Accent LED', a lengthy way to say a thin strip of acrylic attached to the board that can be swapped out for an equal sized piece of acrylic that you can engrave with custom design, perfect for highlighting your gamertag/callsign/guild/team name etc. GIGABYTE shares the same passion for gaming with all types of gamers. Therefore, we have extended the premium gaming brand – AORUS, the pinnacle of our hardware excellence, to provide a full spectrum of innovative gaming products that deliver the ultimate performance and exemplifies the PC’s capability for bringing gamers unprecedented delights. We will continue to participate in global gaming events, connecting with the community and actively listening to gamers’ desires in order to create marvellous products that are focused on gamers’ needs. AORUS is a team of gamers in the PC industry, looking to side with gamers in their quest for gaming, to challenge the limits, and become legendary.